Moving Home Melbourne- Every year, millions of Australians move into any location inside the country or outside the country for several reasons, whether it may be for study, work, or something else. Are you one of those looking to move to a new home? Well, you might be frightening about the moving process. Whenever it comes to moving home Melbourne, you need to load, pack, and transport all the items to the target location safely. It is definitely a hassle job so that people look for the professional moving help. When you search online for the best moving company, you will surely end up at Singh movers. Being the professional movers, we handle lots of tedious and time-consuming work for you. Additionally, we ensure safety in every job we tend to do for you. Therefore, hiring us for your home moving is definitely a great investment particularly when you do not have any proper plan for moving. We have been in the removalist industry for 15years and have gained a huge reputation among the people in Melbourne for our high quality and transparent service. Obviously, we know the hassles and stresses involved in packing and moving things. This made Singh movers help people who are in need of moving home Melbourne at the cheaper price without compromising the service quality. We render the comprehensive moving and packing service to all sorts of customers to obtain benefits. We usually plan the move perfectly beforehand and organize everything according to them on the day to move to ensure a safe and stress-free move. Typically, we provide two or more professional movers who have ability, skill, and experience in handling moving projects to your home or office. They professional pack your belongings, safely transport them on the truck and then disassemble items on the target location to reduce your time and effort being spent on a moving day. You can visit our official site to explore our portfolio and testimonials to know more about Singh movers. You can call us for a free quote today! Singh movers are the largest and leading moving company in Melbourne and offer a portfolio of services to the huge range of clients. Below mentioned are some of the service we offer for our valuable customers. Typically, moving home Melbourne can be a stressful day for anyone especially when you are the only one around who is packing up valuable items and trying to get the home ready to be emptied. By hiring us, our expert of the team of TWO MEN AND A VAN will come to your home on your preferred time slot and then pack and transport everything perfectly and safe. In the busy work environment, the stress level is highly increasing day-by-day. Without any surprise, the stress level is skyrocketing when moving the business to the new location. If you do not wish to move your business for several days, then you can hire us. We do enough planning based on your items to move and offer efficient move by OFFICE MOVERS MELBOURNE. Are you relocating to the new state in Australia? Well, you can take benefit of the Singh movers’ interstate move. Distance does not matter a lot because we do move based on the weight of your valuables. 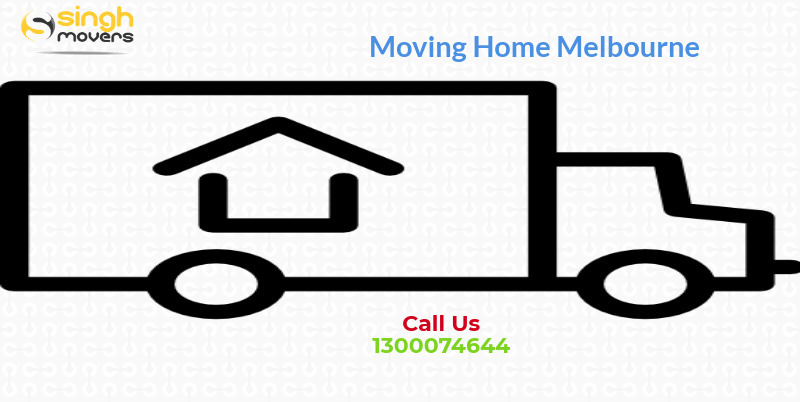 Apart from moving home Melbourne, Singh movers also offer storage services. It involves renting the space for keeping your valuables safe. Our storage units are highly different from mini storage to seasonal storage. All these facilities are climate controlled with modern security systems. Besides, we offer several moving services such as office removals, pool table removalists, pool table removalist, furniture removalist, and much more. Why hire Singh movers for the Moving Home Melbourne? At Singh movers, we specialize in moving and packing service for the customers in Melbourne and other locations in Melbourne. Of course, instead of hiring us, you can do DIY home moving without spending money. However, many DIYers comes to us because of the following reasons. Many customers who require professional help for moving home Melbourne hire us because of our reputation for excellence. We have earned a huge name for our outstanding customer service. Additionally, we are being available for customers at the most difficult times when moving across town, city, or stay and do not know where to start the move. The customers we serve always rely on us for the cheapest and stress-free moving service. By giving moving job with Singh movers, you can enjoy peace of mind and focus on other things. Do you have obtained a bad experience with the removalist beforehand? Are you frightened to get professional help? If so, then do not worry! Singh movers are one of the Best Removalists Melbourne for offering reliable and trustworthy service. We have served for 1000+ customers so far because we are trustworthy and honest. No matter, whether you move is local, commercial, or long distance we will be there to help you. You can check out Singh movers reviews, rating, and reputation online before hiring us. DIY moving home Melbourne job definitely ruin your time and effort when something goes wrong. You can enjoy full trained, insured, and the licensed team who work hard to offer hassle-free home move at Singh movers. All our relocation services in Melbourne are comprehensive rates, which includes complimentary stretch wrapping and padding to protect breakables and furniture, doorjamb protectors, and floor runners to keep your residence in tip-top shape. Since we are licensed and insured as well as offering affordable moving service, our customers recommend us for their relatives and friends. Usually, moving creates more waste because we need to use plenty of boxes and other materials to pack the items for safe moving. These things become a landfill waste upon the completion of the home move. We always care a lot about the earth and wish to keep it clean. To offer environmental friendly moving service, we take enough steps and even implement them. Therefore, Singh movers are an environmentally friendly moving company. Since moving green is less expensive, we do not charge you more. For moving home Melbourne, you will definitely need right kind of equipment and vehicle as well. In most cases, you could not able to accommodate these things properly because of lack of knowledge. When you hire Singh movers, we use the right equipment for your moving job such as appliance dollies, lifts, hoisting straps, large ramps, etc. Additionally, we have a huge fleet of transportation in multiple sizes so that we can move under any weather conditions. As the reliable yet Cheap Removalists Melbourne, Singh movers ensure safety-moving service because anything can happen when moving. By hiring us, you can ensure you and your valuable belongings safe. We have experienced team and the right equipment to do the job greatly. Our vehicles cushioned for extra safety and security. Hence, we ensure that your belongings would never damage, misplace, or break. Do you wish to enjoy convenient moving home Melbourne service? Well, do not look for instead of Singh movers. We put our maximum effort to render your convenience in that you do not need to find the truck, load and unload your belongings. Additionally, you need not to call your colleagues, friends, and relatives to assist you to move. At Singh movers, we do everything right from organizing, disassembling, packing, reassembling, and unpacking. Since we are there to taking care of everything, you can sit back and take some rest. What makes Singh movers stand apart from the Moving Home Melbourne crowd? In Melbourne city, you will find several moving companies but not all render the same level of services and charge different pricing as well. However, Singh movers always stand in the top position because of the following things. Professional home movers – Singh movers is the best removalist company offering efficient yet cheap Moving Services Melbourne. We employ employees who have enough training and experience in this field. Our drivers, packers, and others are dedicated employees who know how to do their job properly and on time as well. Therefore, when you hire us, you will enjoy professional home moving service. Accurate planning and scheduling – Delay in moving home Melbourne and other issues happened because of poor planning. This makes the entire process more time consuming as well as prevents you from getting settled into the new location. If you wish to avoid this, then working with Singh movers is highly important. We do accurate planning and scheduling using advanced technologies and tools to meet your special moving needs. Less moving waste and cost-saving– As mentioned earlier, we provide environmental friendly moving service to our customers at a cheaper rate. Right from bubble wraps to boxes, we use 100% recyclable materials in order to keep our neighbourhoods greener and cleaner. It also saves your money being spent on buying boxes to carry items during transit. Professional and upgrade equipment – Since we use professional and upgrade equipment, we prevent delays in moving. This reduces lost time because of breakdown and safeguards your items with superior handcarts, packing supplies, and much more. This makes Singh movers rated among the best moving companies in Melbourne. 24 x 7 support service – We always care for our customer needs and worries so that we made our customer support service available for 24x7. This means customers who have a doubt regarding our home moving service contact us anytime. Our executives will answer all your questions. You can even contact us to request the free consultation and quote as well. No hidden cost and transparent pricing – Unlike other movers, Singh movers always charge affordable amount for the moving service, which mentioned in the quote. We do not levy any hidden charge from you. We usually do transparent pricing for offering 100% customer satisfaction. Moving home Melbourne from one location to another can be a strenuous and daunting task. Millions of small decisions need to take to ensure safe and convenient transportation. It also includes whether or not to hire the professional moving company such as Singh movers to get help. At Singh movers in Melbourne, we have helped hundreds of homeowners seamlessly move their valuables into their new home safely and securely at the low price. Below mentioned are some of the benefits that you can enjoy from hiring our Moving Company Melbourne. Avoid painful injuries: When moving heavy households and furniture, there may be a chance that you get an injury. If you do not wish to deal with the painful injuries, hire us to move your large pieces of furniture and extra heavy boxes in your home. Our experienced fleet of movers has the necessary tools required to move heavy objects without compromising the safety. Leave packing works to professionals: By reaching Singh movers, you need not worry about tedious packing process. Our skilled movers who have skill and experience in packing things will do everything properly and efficiently. We use high-quality material to wrap your belongings so that nothing will get damaged during relocation. Save time and money: Do you have a shortage in time to do the relocation process? Simply contact us, we plan and schedule the relocation perfectly, which means you can spend your busy time on the important things without any tension. Right packing to transporting and unpacking, our professionals will do everything. On the other hand, we clearly give you move quote along with the concerning charges before starting the work. Since we do not charge any hidden costs and have all packaging and transporting materials, your hard earned will be saved. To get a free quote or any question regarding our service, contact us today! We are always there to serve you because customer satisfaction is our top priority.